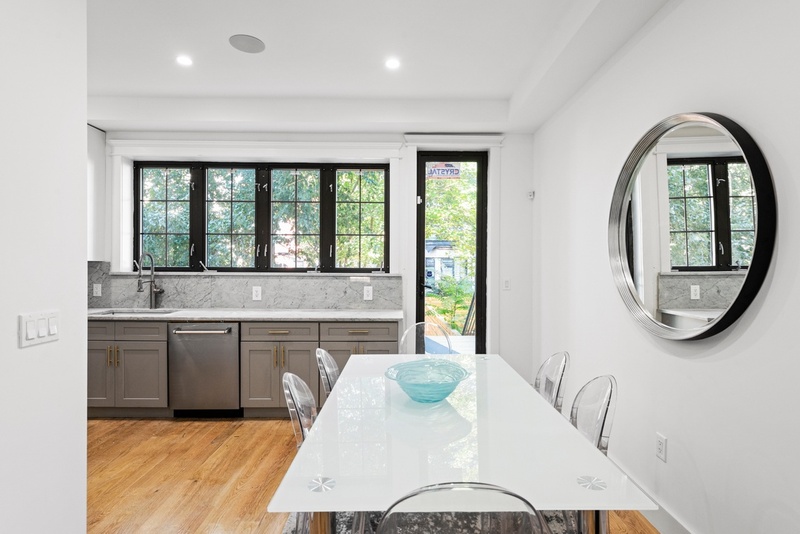 Graced with an array of sleek finishes and several outdoor spaces, this gut-renovated single-family townhouse is a portrait of contemporary Brooklyn charm. 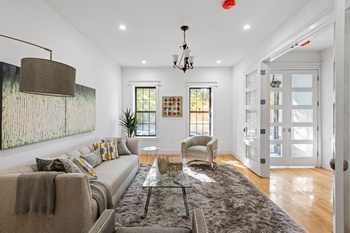 Features of this 5-bedroom, 3.5-bathroom home include gorgeous hardwood floors, a classic redbrick façade, a finished basement, an in-home washer/dryer, northern and southern exposure, a deck, a traditional front garden, and a spacious, 53-ft long backyard with cement-look tiling. Beyond a tasteful entryway, the parlor floor of the home flows into a formal living room with double pocket doors that open into a large eat-in kitchen. 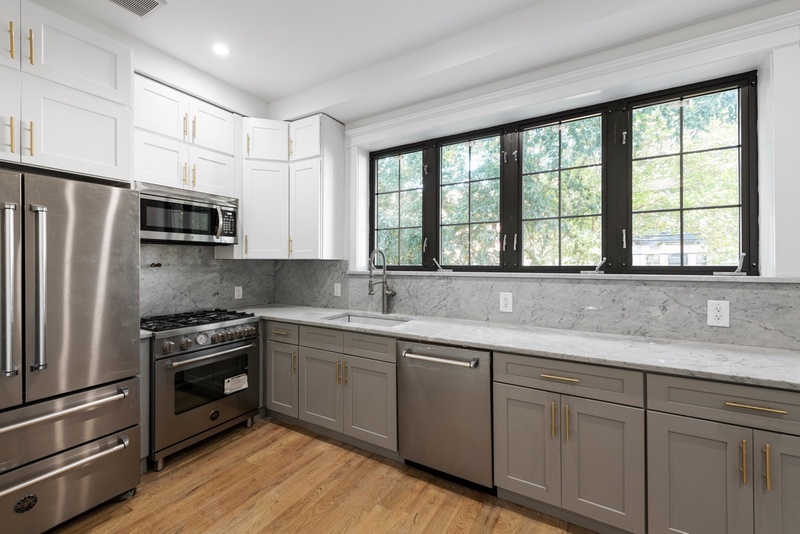 The kitchen, which leads out onto a deck with backyard access, is equipped with marble countertops, a massive window overlooking the deck and yard, and a suite of high-end stainless steel appliances from BERTAZZONI. A convenient powder room finishes the space. 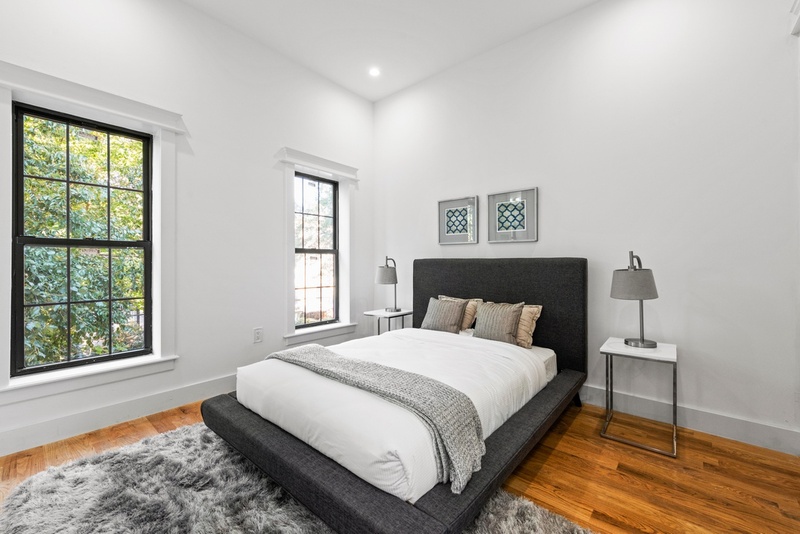 The master bedroom sits on the third floor of the home and possesses a pair of closets, views of the backyard, and a windowed en-suite bathroom with marble walls and a step-in shower. 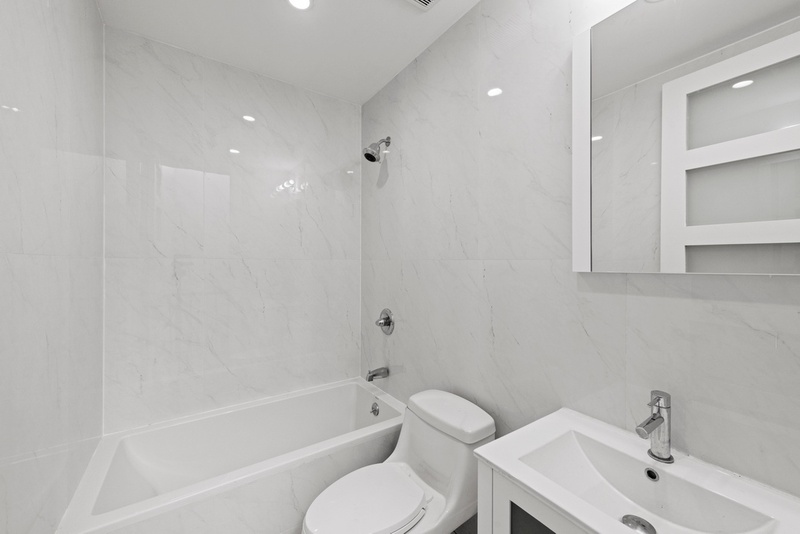 The two other bedrooms on the third floor have private closet space and easy access to a pristine full bathroom. 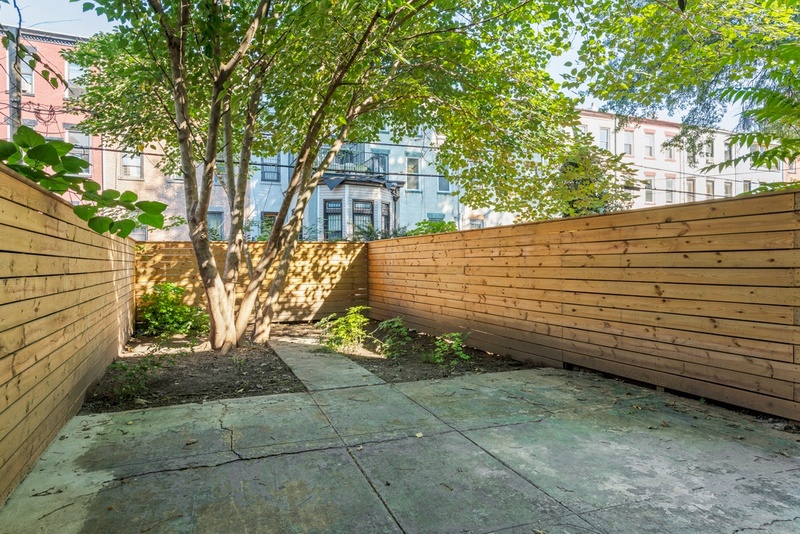 The garden floor—perfect for use by an au pair or as an in-saw Suite—contains an additional two bedrooms, one of which has direct access to the backyard. Both bedrooms share access to a third full bathroom. The home also has a large basement, which is completely finished and tiled. 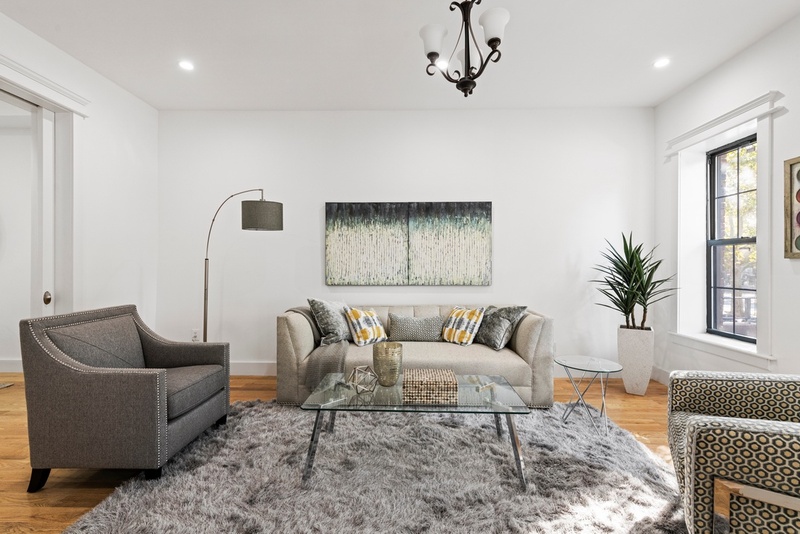 Nestled in the southern section of Bedford-Stuyvesant, at the heart of Stuyvesant Heights, 207 Halsey is just steps from all the restaurants, bars, cafes and shops that line Fulton Street and Nostrand, Tompkins, and Throop Avenues. 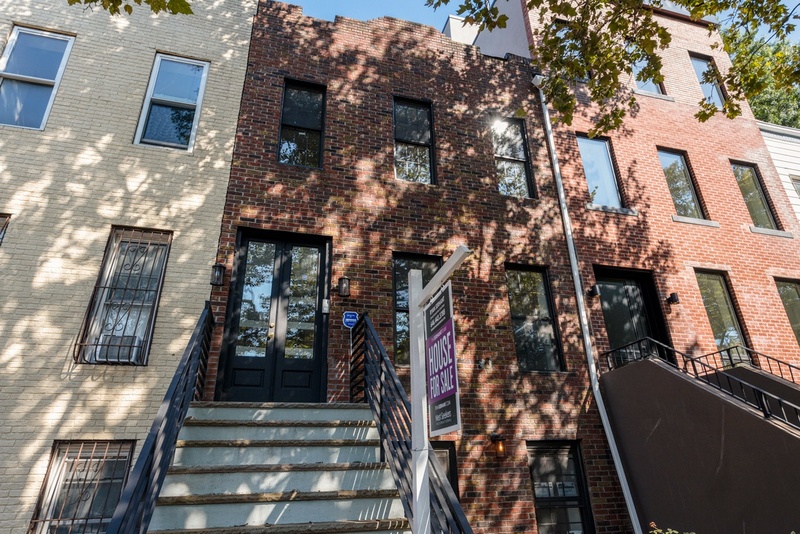 The home sits across the street from Potomac Playground, and is about a ten minute walk from Herbert Von King Park. Nearby transportation options include the A and C subway lines and the LIRR.